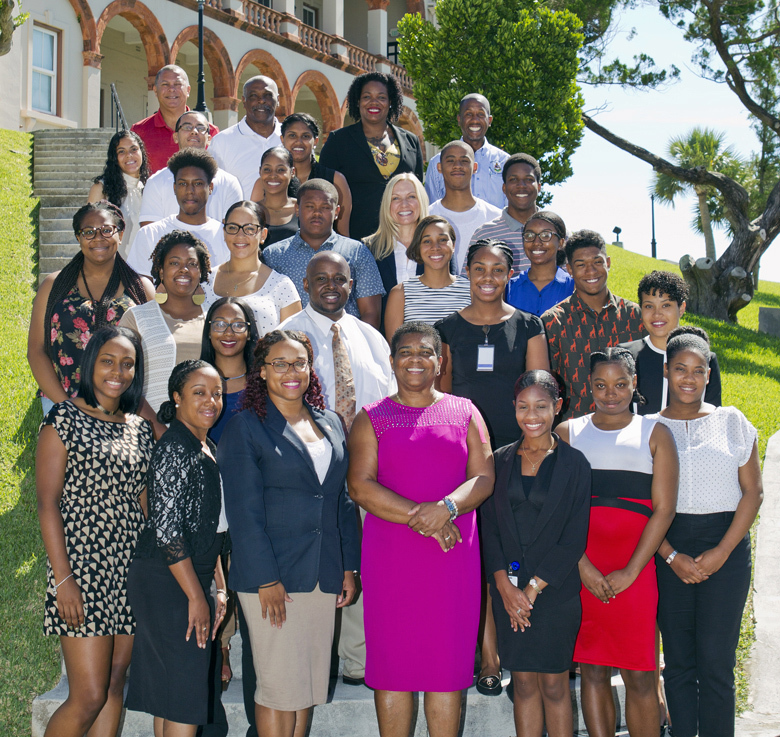 At a brief ceremony held yesterday [July 13], Minister of Home Affairs Patricia Gordon-Pamplin presented scholarship awards to the Department of Workforce Development 2016 scholarship recipients, providing funding for 34 students studying at The Bermuda College and in overseas universities. A spokesperson said, “This year’s recipients are furthering their studies in Hospitality/ Culinary Arts, Health Care/ Nursing/ medicine, Construction/ Engineering/ Automotive, Business/ Mathematics, Cyber Security/ Forensics/ Counter Fraud and Marine Teaching. WHY 7 DISLIKES. ARE THEY NOT ENTITLED TO GET A JOB IN THEIR OWN DAMN COUNTRY. GEESH!! !